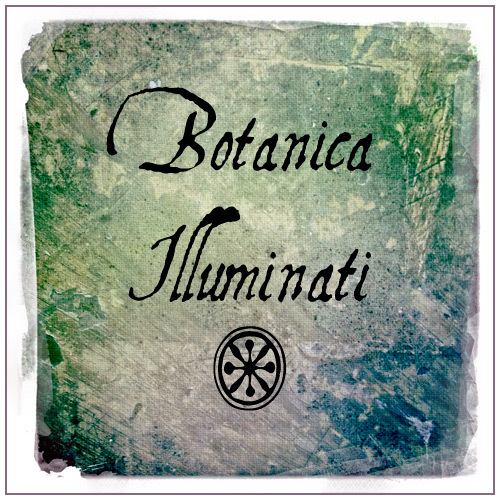 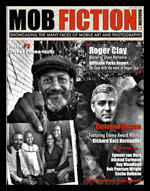 The LA-MAF story continues as we enter into the observatorium Botanica Illuminati and sit down on an old park bench, surrounded by living sculptures growing out of hollowed out tree trunks. 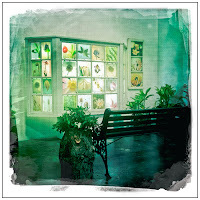 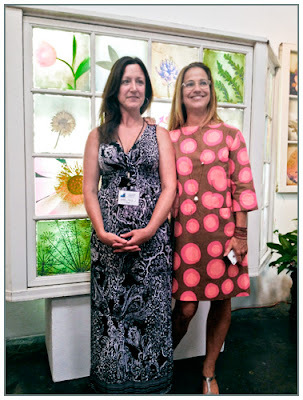 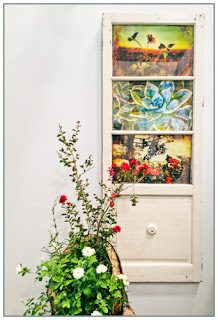 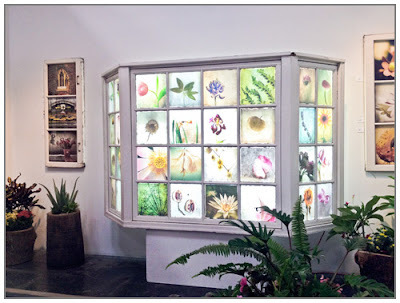 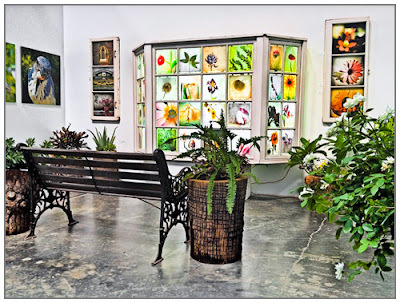 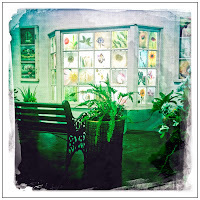 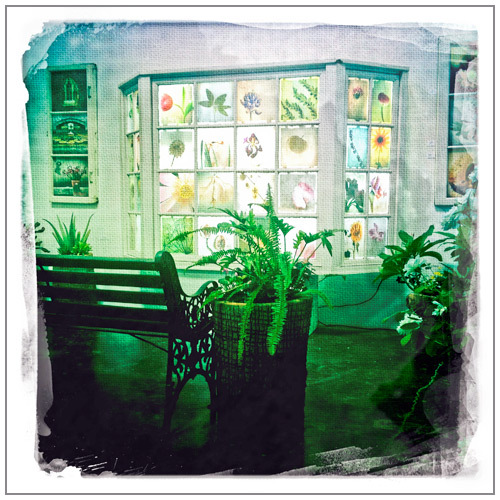 Let yourself be lost within the mini-garden’s solitude, enjoying the visual feast of repurposed architectural salvage yard wooden windows, including a large 32 glass panel bay window transformed into a stained glass floral specimens that come to life. The bay window is the creative vision of Kimberly Post Rowe and Adria Ellis, the individual window panels pictured below are by visual artist Daria Polichetti. 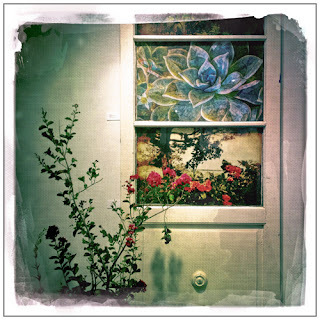 A living plant with red flowers integrates and disappears into the the third lower glass panel’s pictured image, becoming one . 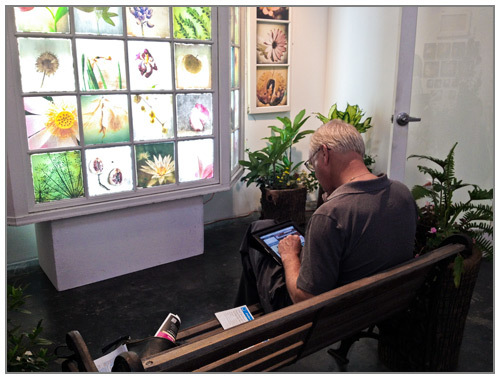 . .
a visitors rests and checks their iPad. Sharing the Botanica Illuminati is the Bird Photo Booth, the creation of Bryson Lovett. 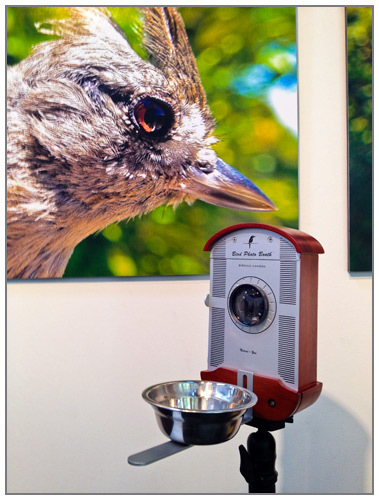 This carefully hand-crafted hardwood feeder serves also as a hidden camera case for the iPhone in order to capture natural images of birds. 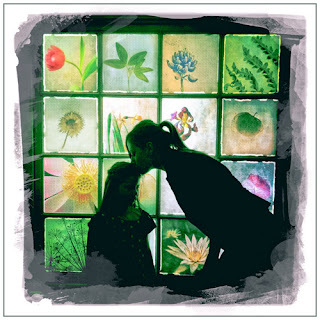 The Botanica Illuminati observatorium brought out the best in people as a little girl wanted a picture of herself with mom in front of the bay window. The mother told me their last name is Flores and in Spanish it means flower.